thank you for your co-operation so far! Journey goes on! Name change is part of our development projects. Development includes closer co-operations with leading camera manufacturers. We are also about to launch pretty cool, new features! Stay tuned! Our uncompromising goal is to make remote cameras easy to setup and use. We also introduce continuously new ways to use cameras in Seneram – whether used for surveillance, nature observation, research or many other interests. Name change may require username and password again, when login next time. If you have forgot your password, get it here. – Sensegram -branded material can be distributed until the 31st of July 2018, if necessary. We advice you to stop distribution as soon as possible. – Use of Sensegram -branded material must be stopped no later than the 15th of September 2018. If you have any question, please contact me for further information. 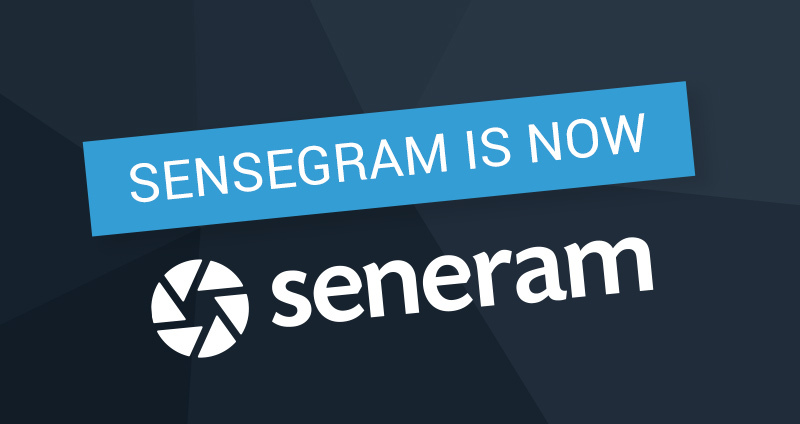 Seneram, earlier known as Sensegram, was launched 2016. Our customers use trail/spy/hunting/remote cameras for surveillance, nature observation, research and special interests. Seneram has private and business versions. Seneram Business version is the heart of mobile camera network, where you can fully manage cameras, users, locations and data. Seneram Business is used by enterprises, public and research organizations. Seneram brings joy and safety to people and organizations delivering more than 10 million important pictures and videos in more than 50 countries in a year. Join us!